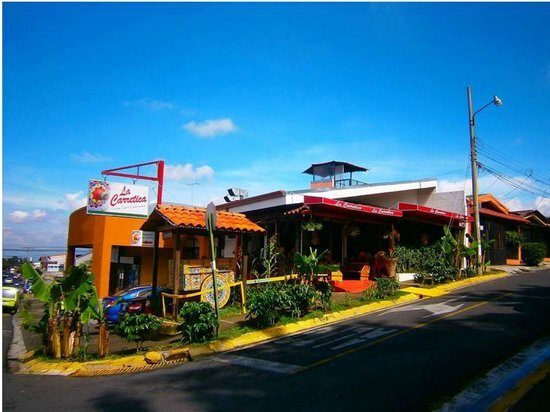 La casona de mi tierra is a typical Costa Rican restaurant based in Heredia—it takes only 30 minutes when coming from San Jose. It offers unbeatable dishes to satisfy every taste—the taste of the locals and of the travelers, who stop by. 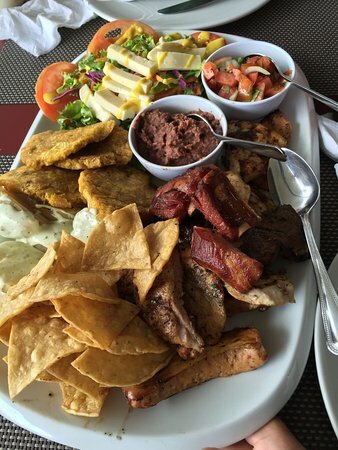 Yes, even though it’s a Costa Rican spot, it is highly frequented by Americans and Europeans for its quality foods and excellent services. You can visit the restaurant with your partner, family, and friends. The menu comprises in olla de carne, picadillo de papa, chifrijol, arracache, steaks, churrasco, Casado, pescado, fish, salads, chuletas, Swiss sirloin, and much more. Thanks to the skillful cook, every food is excellently cooked. You can start with salad plus churrasco. 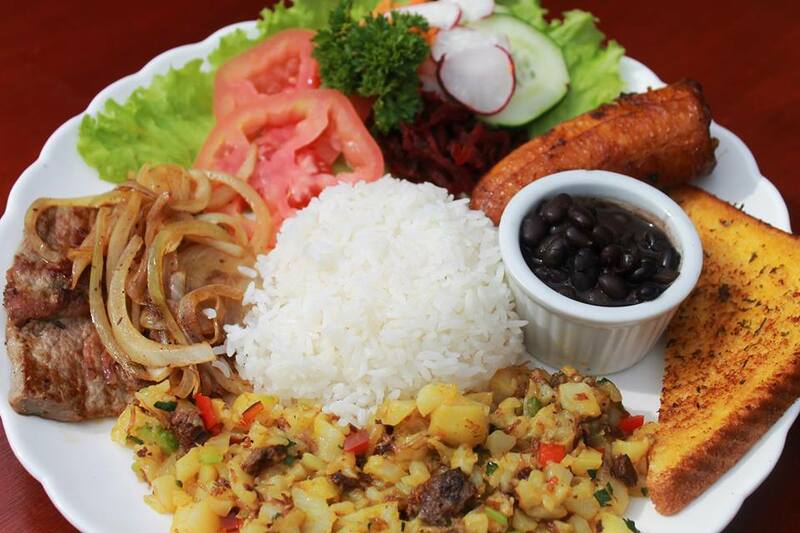 For lunch, you can order Casado. This great combination of foods will satisfy and get you easily stuffed. You can then finish off with Costa Rican coffee, Cafe choriado. The restaurant offers great services. The staff is both hospitable and friendly. So, when the visitors arrive at the restaurant, the clients warmly welcome and seat them in a few minutes, irrespective of how crowded the spot may be. With the handy menu, the clients can ask for anything; the staff will get it for them. They also have the privilege of watching the gourmet prepare their meals. Then, as they bring the dishes to the tables, the clients savor their favorite dishes and clean their plates. The prices are incredibly affordable. Motivated by the excellent foods and their reasonable prices, the clients are bound to return for more. 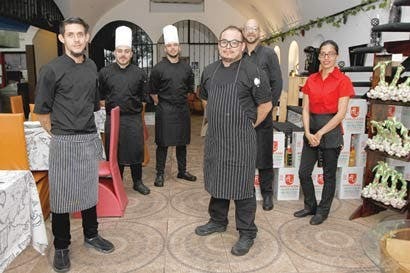 La Galeria is the main go-to restaurant in Heredia for its uniquely prepared dishes and drinks, which are local products. As such, the spot is proudly Costa Rican. Yet, it’s also frequented by European and American travelers. 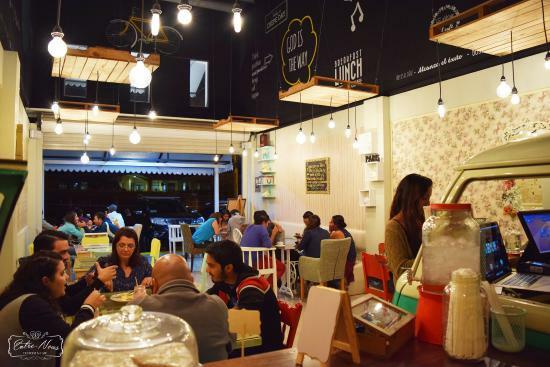 You can’t afford to miss this hidden gem once you’re in Heredia. Surprisingly, it’s a well-priced spot. 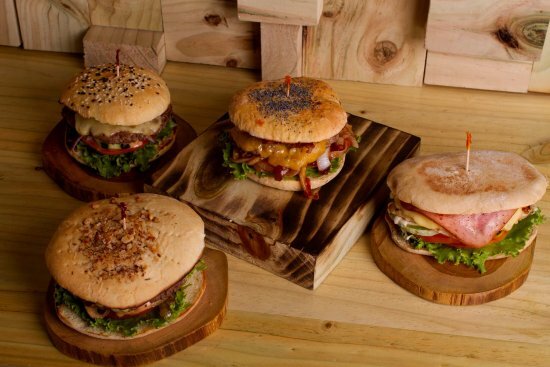 The menu offers foods such as Simbolista burger, spicy sauce, salads, sweet plantains, pastas, hamburger, and much more. Given its fresh ingredients and the savvy of the gourmet, the food is perfectly cooked. Oddly enough, the fries aren’t fried yet they are unbeatable. Since everything is locally sourced, you can’t order cold drinks—there are no Coca Cola products. Instead, you get to order local beverages—natural juices—freshly made at the restaurant. They are poured into beautiful jars, which are skillfully made by local artists. To whet your appetite, you can either order shrimp salad or nut pesto pasta. The shrimp salad is a blend of so many tastes; the latter is a tasty sauce. You can’t miss out on the burgers. 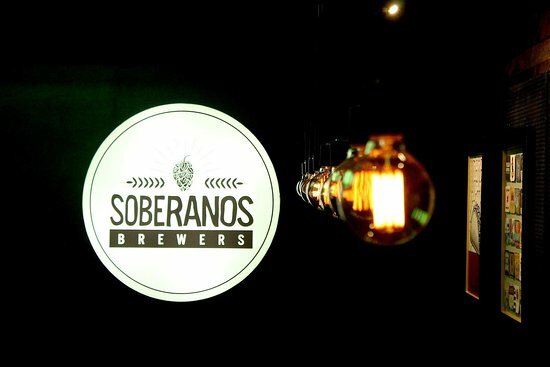 They are best enjoyed with the tasty local drinks. You can also grab the spicy sauce to dip in your food. Then, you can finish your meals with a brownie. The waiters and the owners are kind and friendly towards the customers. They welcome every visitor with comfy seats. Then, they give them their menu and offer them food recommendations in accordance with their taste; the clients can either accept their recommendations or come up with their own choices—they are free to choose as they will. Given that the staff is fluent in English, the clients have an easy communication with them; they can get anything they want. 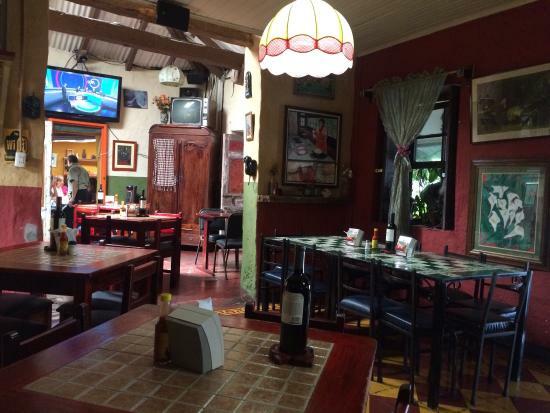 Caracoles De Colores is a brilliant and a spacious restaurant situated in Heredia. 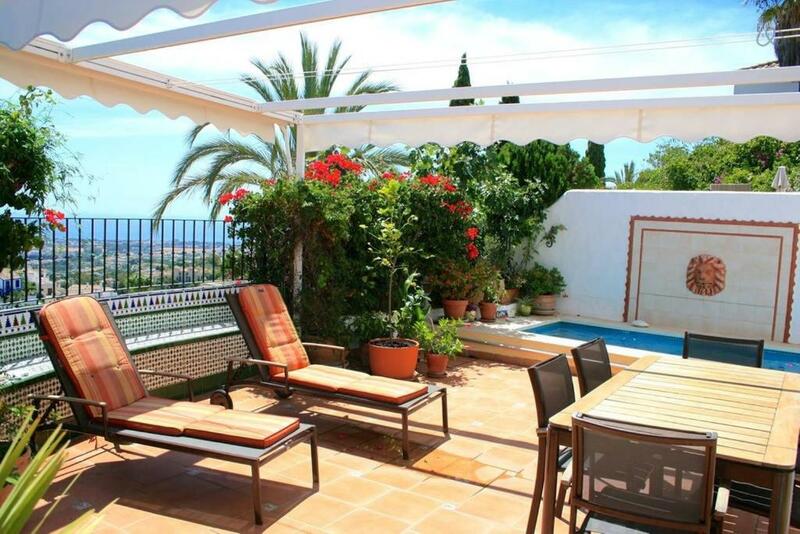 It is an easy find thanks to its prime location in the town. The spot is suitable for couples, family, and friends; you can’t afford to miss out on the restaurant’s affordable, flavorful dishes and comfy setting. 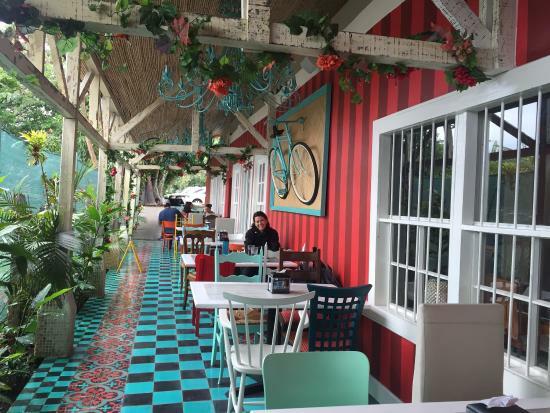 Despite their complicated names in Spanish, the menu offers delicious dishes such as tiraditos, pasta, anticucho, chicken, Black pepper tenderloin, salad, and much more. The food is cooked and served in such a way that clients are both satisfied and satiated. You can start with the fresh salad, and then order the chicken accompanied with pasta. This is one of the best meals in the spot. You can’t leave without ordering this one. If you need more food, you can either grab the black pepper tenderloin or the anticucho. With more food on the menu, you can still order more. If you are perplexed by the names, you can request explanations from the staff. Don’t let anything deter you from enjoying yourself. The staff is professional and helpful. Given the large size of the restaurant, there is always room for everyone, independently of how busy the spot might seem to be. When the clients arrive, they are given chairs and the menu for them to choose their favorite dishes. Again, since most of the names of the foods are in Spanish, the kind staff offers to explain their dishes to every English-speaking visitor. So, they can choose well, in accordance with their taste. Then, the staff brings their food in no time. Bottega Privee, an attractive restaurant based in Heredia, offers amazing dishes to satisfy one’s desire and hunger. Given its flavorful foods, visitors are in love with the spot. 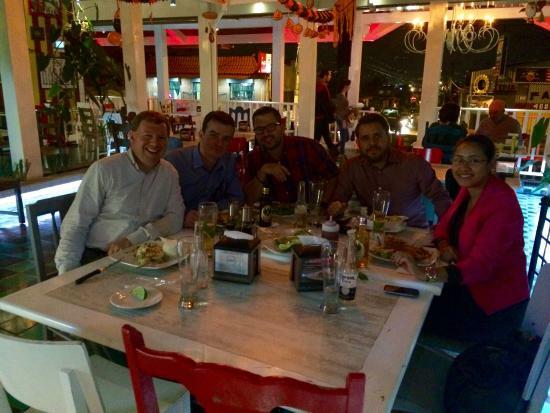 So, they often recommend it to their fellow locals and to the travelers visiting Heredia. The menu offers foods such as spaghetti pomodorro, eggs, mozarella salad, veggies, and some more. The dishes are prepared and presented in a beautiful way; they are generously served. Hence, the clients are fully satisfied. You can start with the eggs, and then order spaghetti pomodorro; the mozarella salad is fresh and delicious. If you want to try some seafood, the fish is the way to go. And, the crumb pie will have your mouth watering for its great taste. What’s more, the spot offers a wide range of wines: you can choose from Rose to Negroamaro, D’Avola, and Barbera. You can also request coffee or the freshly squeezed pineapple juice. Then, you can end your meal with perfectly baked biscuits and espresso. They are out of this world. The restaurant offers great services. The food is yummy thanks to the great cook; he prepares the food with passion. When the clients arrive, the staff accommodates them with their pets; the pets are put under their table. Yes, the restaurant is pet-friendly. Then, the servers take care of their hunger by providing their dishes in time. At the end of their entrées, the staff offers complimentary meals and other food for them to take home. 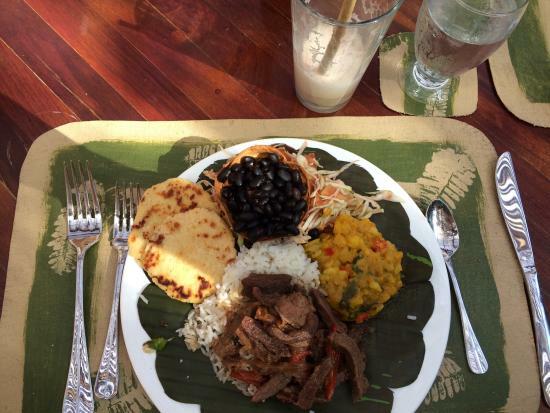 Situated in Heredia, Restaurante La Candelaria offers veggies and meaty foods suitable for breakfast, lunch, and dinner. It’s one of the places that should be on your bucket list as you are in Costa Rica. Since the restaurant is spacious, you can go with your family and friends. 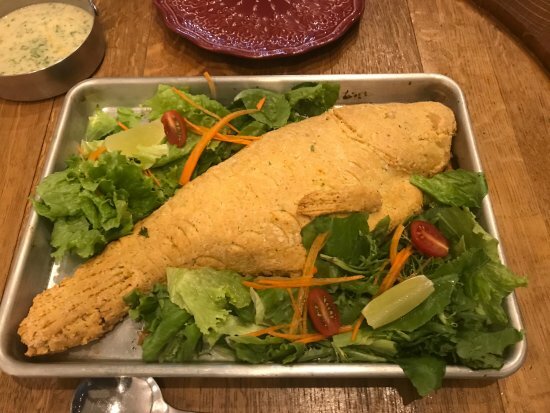 The menu is large; it has unbeatable foods, such as veggies, steak, salmon, potatoes, rice, churrasco, salad, chicken crepe, shrimp, strout, ham crepe, Candalaria croquettes, brunch, and more. It also has a lot of tasty drinks to accompany your dishes. With this extensive menu, you can enjoy any food you like; there are no complaints about their taste. For an appetizer, you can order Candelaria Croquettes, served in large portions; they come with a tasty sauce and potatoes. This dish is best enjoyed with a friend. After whetting your appetite, you can choose your course from among the various foods on the menu. The staff is kind and friendly. They even accommodate pets. So, visitors can take theirs with them. As the clients take a seat, the servers provide them with a lot of samples. These flavorful samples—strout, chicken crepe, lomito, ham crepe—can be shared. Then, the clients choose their meals and get them in a timely manner. Moreover, the staff has a special on the weekends: the onion rings will have your mouth watering. So, the weekenders have this special treat. 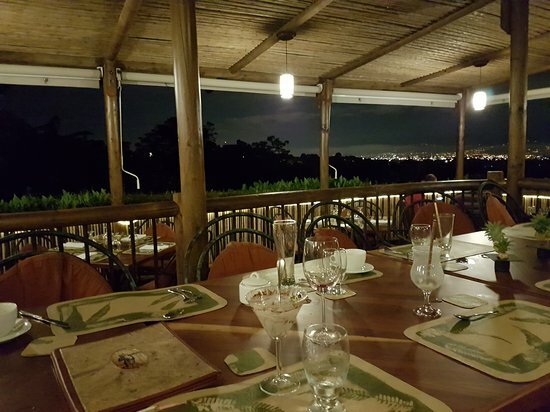 El Tigre Vestido is an amazing restaurant, built on a coffee farm in Heredia, overlooking the city with breathtaking views. It is suitable for all the meals, breakfast, lunch and dinner. 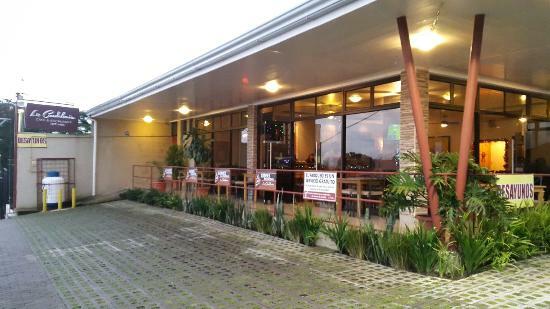 The spot is worth visiting thanks to its unbeatable dishes and services. The menu offers delicious dishes, such as seafood soup, shrimp, tuna taco, burger, salad, artisanal pork chop, tuna tartar, chicken, steak, grilled hearts of Palm, corvina, bruschetta, sauces, rice, and more. All the foods are perfectly cooked to suit your taste. They are served generously. To whet your appetite, you can order tuna tartar as well as bruschetta. They are a great combination and excellent starters. If you love salad, you can order roasted beet salad, which is fresh and delicious. Tuna taco is a perfect meal for breakfast. Costa Rican Hearts of Palm is out of this world. The Artisanal Pork Chop is another great dish to consider. There are delicious sauces to dip in your food. Since there are lots of tasty foods, you may feel like eating them all. Yet, you should not miss out on the desserts. They are so yummy. Aside from the wonderful dishes, you can order wines, white and red, a great addition to your food. If you prefer drinks, you can either order cocktails or cilantro margaritas. The restaurant offers excellent services; the owner is the connoisseur of the spot. His food is cooked so well that every meal you order is delicious. Visitors love his veggie dishes. He is one of the few gourmets you can trust in the area. He always ensures that his customers are satisfied with their orders; the kind and friendly servers are always ready to cater the tasty foods. What’s more, the Visitors who stay at Finca Rosa have free breakfast.